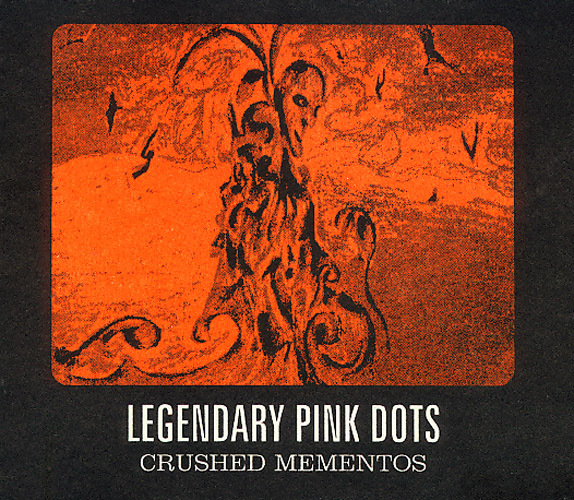 The Legendary Pink Dots, "Crushed Mementos"
The Legendary Pink Dots recorded some of their best work for compilation and private tapes in the early 1980's. These tapes have now long gone and the material, as included on this disc, has been unavailable for many years. You will most likely never hear the Dots sounding so intense as on the original version of "Close you eyes, you can be a spacecaptain" or so experimental as on "Premonition 15" or on "March", which has been unavailable for over 20 years! Also included is the long-deleted 23-minute track "The People Tree" and one of their most abstract and beautiful songs "The Punchline". Packed in a in the usual gorgeous carton Plinikity Plonk cover, this is your chance to pick up these tracks and enjoy some of the best work of the early Legendary Pink Dots.